New tool model of famous P.11c. Recommended not only to beginner modeller but also for experienced hobbyst who is looking for a quick built for collection. 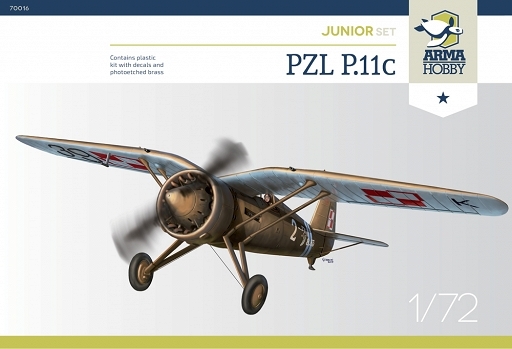 PZL P.11c, 121. Fighter Squadron from Cracow, in 1939 in „Kraków” Army. Today the only preserved „eleven”. After September campaign captured by the Germans and displayed in Berlin. After the war in Polish Aviation Museum in Cracow. Marking scheme of the Museum example. 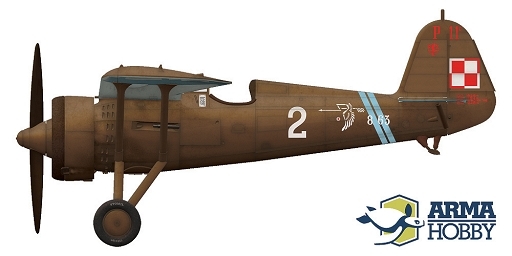 PZL P.11c, 122. Fighter Squadron from Cracow, in 1939 in „Kraków” Army. Flown by Cadet Władysław Chciuk (2 victories), damaged in combat on 1st September and left in Bielsko-Aleksandrowice airbase. After the war outbreak squadron marking, „8” number on the fuselage and national markings on the rudder and on the wing upper surface overpainted. .:Airfix:. Vickers Wellington Mk.I/C - RELASED!
. :RV Aircraft:. 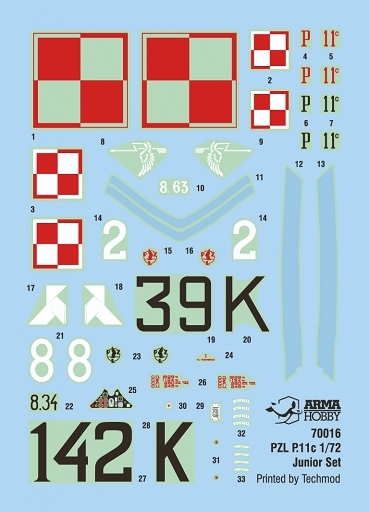 Decal set vol. III for MiG-21UM. [from] . 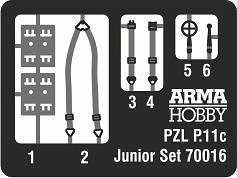 :Arma Hobby:. to: . :SBS Models:.